Since 1998, we are providing a unique blend of Business, Engineering and Regulatory Services which ensures sustainable growth of all stakeholders. We prefer to work with local strategic partners in Underserved-Markets and Developing Countries. Global Digital Networks (GDN) was incorporated during 1998 and in June 2008 got ISO 9001:2000 certification. 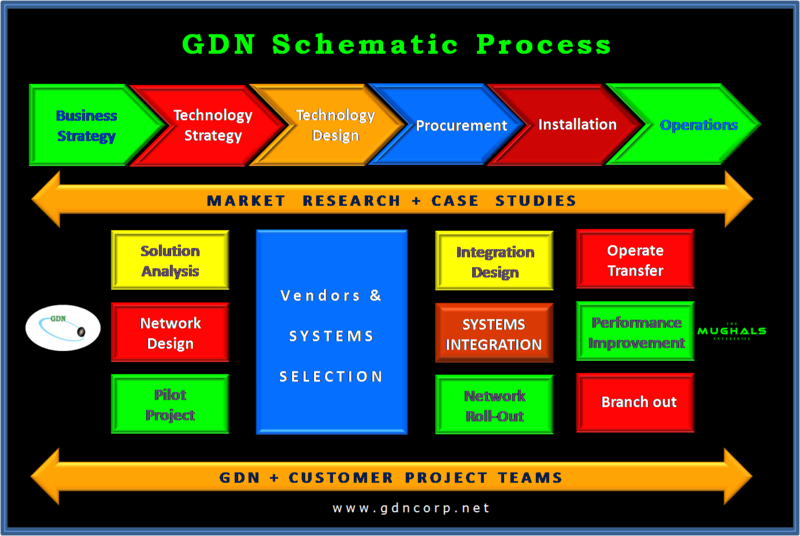 GDN Expertise includes customized Information and Communication Technology (ICT) Backend Services, Design Development to Commissioning of Distributed Converged Networks, Operational Efficiency, Specialized Training and System Enhancements. 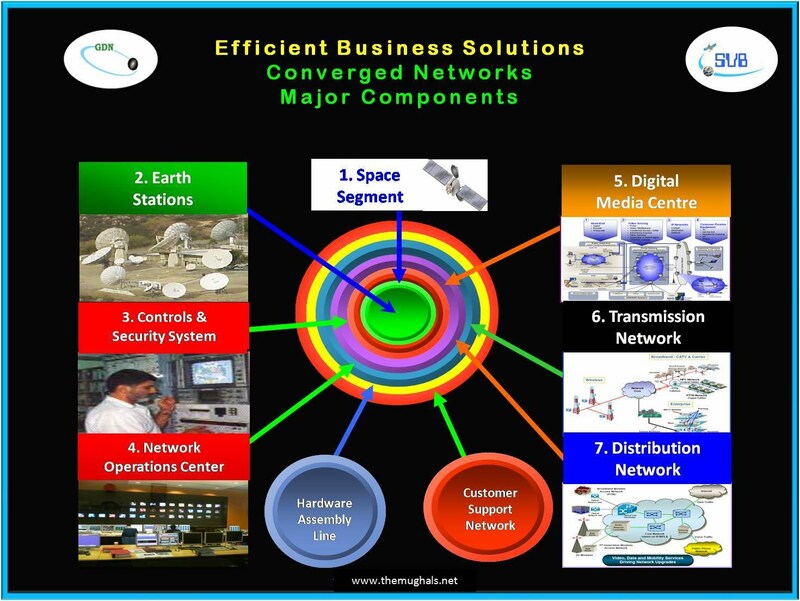 Asset Management System, Cognitive Analytics Solutions, CubeSat Communication System, FinTech (Blockchain - Distributed Ledger Technology (DLT) Platform), Intelligent Transportation Systems and RFID based Real-Time Object Tracking System. As of April 2017, GDN is working on some Sizeable Projects including a three phase Mobile Broadband Ecosystem of a developing country having minimum 137 million cellular phone subscribers of which minimum 38.9 million are using 3G/4G networks (as of February 2017) and minimum 17.6 million are cable subscribers (as of June 2016). GDN verifiable track-record proves that our unique 'Collaborative Approach' leads to sustainability and self-reliance. We work meticulously with our valued clients to understand their unique requirements to create customized affordable SMART solutions. GDN prefer to work in ‘hot spots areas’ with the people who know the region and understand native culture and speak local language(s). GDN work with local professionals as a team, which minimizes the security risks and stimulates economic activities at grassroots level. GDN and The MUGHALS are strategic partners since 1998. MUGHALS are in business since 1917 and have steady business relationships with leading Manufacturers; Operators; Service Providers; Vendors and got roots in different parts of the world. Therefore, it becomes easier for GDN to ‘get the job done at affordable cost, on schedule and within the predefined budget’. GDN, as of January 2017, is working on five Major Projects including a three phased Cloud Based Broadband Ecosystem, initiated during 2011, for a country of minimum 200 million people having, as of June 2017, minimum 110+ million mobile phone subscribers. GDN is proudly associated with HKE - Public Regional Education Program (HKE-PREP), an exclusive endowment program to provide Broadband Infrastructure to member schools; colleges and universities in developing countries. Although GDN is not NOT a direct Lender, Financial Institution and or Financial Agency. However, contingent upon SBA, EXIM Bank USA, World Bank, International Chamber of Commerce Guidelines and Laws of the "Business Territory" , GDN can arrange Project Financing THROUGH Third Party for Qualified Clients. © Copyright 1998-2019 - Global Digital Networks - GDN, All rights reserved.